Gardaí are now appealing for witnesses to the collision. 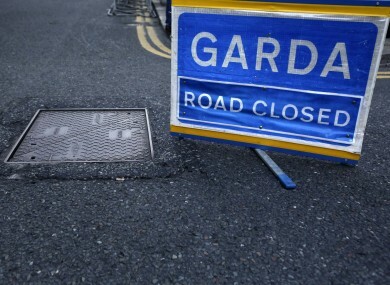 GARDAÍ ARE APPEALING for witnesses to a road collision in Cork this morning in which a 28-year-old man was seriously injured. The incident occurred at 3.50am, on the Kilmallock Road, Charleville. The 28-year-old pedestrian was seriously injured when he was struck by a car. He was taken by ambulance to Limerick Regional Hospital. The occupants of the car were not injured. The road is now closed to traffic with diversions in place and forensic collision investigators have been notified to attend the scene. Anyone with information is asked to contact Charleville Garda Station on 063-21770 or the Garda Confidential Line 1800 666 111. Email “28-year-old pedestrian seriously injured in Cork collision”. Feedback on “28-year-old pedestrian seriously injured in Cork collision”.